London Zoo Fire: "Ten fire engines and 72 firefighters and officers have been called to a fire at a cafe and shop at London Zoo," the London Fire Brigade said in an initial statement. The zoo where the fire broke out, is in Regent's Park in central London. 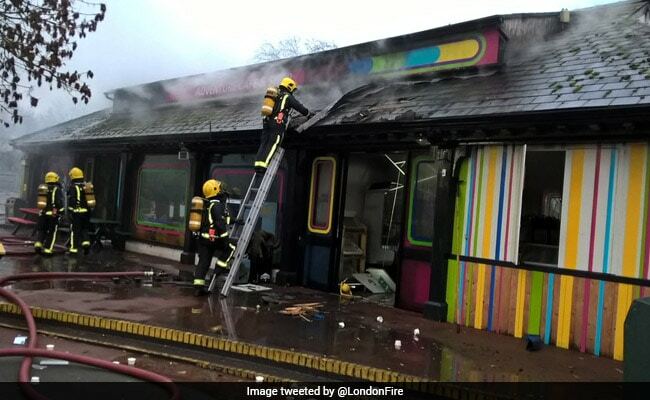 A fire broke out at London Zoo early on Saturday morning, engulfing a cafe and shop near an animal petting area, although it was not immediately clear if any of the creatures were hurt. "Ten fire engines and 72 firefighters and officers have been called to a fire at a cafe and shop at London Zoo," the London Fire Brigade said in an initial statement. "Approximately three quarters of an adventure cafe and shop and half of the roof is currently alight. "An animal petting area is nearby. It is not known if any animals are involved at this stage." The alarm was raised shortly after 6:00 am (0600 GMT), and it was not until around 9:30am that the fire was brought under control. "Crews will remain on the scene throughout the morning damping down the fire," the fire brigade said in a second statement. The zoo, in Regent's Park in central London, opened in 1828 and is now a leading conservation organisation as well as a major tourist attraction. The zoo said it was "dealing with an incident on site".